US environment agency administrator Scott Pruitt spread “very troubling” and “inaccurate” information when criticising the Obama’s reform of emissions standards for cars, according to correspondence between senior EPA agency officials. The officials state in a cache of emails released to Unearthed through a freedom of information request that Pruitt also cited an article that contained “many factual errors” when arguing that the tightening of standards would lead to job cuts in the US car industry. The correspondence was released by the EPA a week after Pruitt announced he is going to revoke Obama’s introduction of new carbon limits on cars and SUVs, largely on the basis that they would be unfair to consumers and industry. The EPA chief is currently at the centre of a media storm, as he faces accusations that he overspent and misused public security funds. Trump indicated a year ago that the new standards, due to come into force in 2022, would be reviewed following heavy lobbying from the car industry. The standards were part of Obama’s push before he left office to introduce legislation that would cut greenhouse gases and support low-carbon technologies, but the industry stated that they would cost $200bn. The emails date back to the weeks surrounding this announcement in March 2017, a month after Pruitt took on the top job at the EPA. In one exchange, Christopher Grundler, director of the office of transportation and air quality, refers to an interview Pruitt gave to CNBC in which he criticises Obama’s approval of the new standards, a decision he believes was rushed through. Grundler, who has been touted in the media as the “bane of the auto industry”, comments that “this inaccurate statement is very troubling”. There is no indication as to whether Pruitt knew about their concerns. Later correspondence shows officials expressing scathing views about Pruitt’s public arguments that the new emissions standards would lead to job cuts in the US car industry. Trump lambasted job cuts in the car industry while on the campaign trail. The officials dispute claims made in an op-ed Pruitt gave to USA Today, in which he states that the cost of the new limits “would lead to higher prices for consumers, lower wages for workers and jobs moving out of the country”. Pruitt cited an article published by the National Center for Policy Analysis, a free market think-tank that has previously expressed sceptical views on climate science but has since dissolved. The article argues that emissions standards will “push jobs south”. But the EPA officials are very sceptical of the piece. “Bottom line — this blog was written by a 23 or 24 year old, with a bachelor’s degree in business less than a year ago, now working in a ‘supply chain rotational role,’ and whose only other highlighted activity besides this one blog is volunteering in his church. Based on his own resume and my web search, he has written no other blogs or articles or papers. In a related exchange, Grundler refers to an EPA study that found the new limits had no significant impact on jobs. 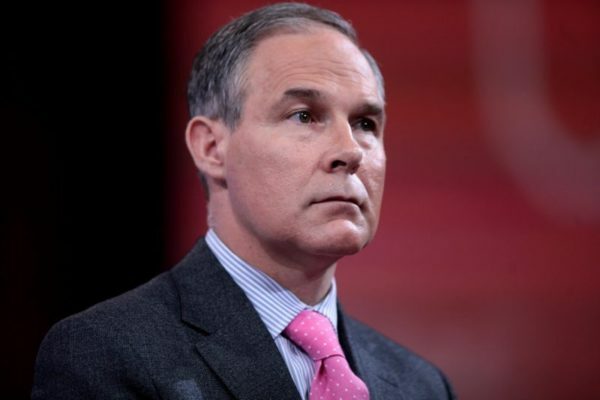 The news follows a report by The New York Times last week, in which former EPA officials said that Pruitt’s 38 page justification for rolling back the emissions standards was devoid of supporting legal, scientific and technical data. The EPA are yet to respond to a request by Unearthed for comment. This story was also covered by Mother Jones.